For more than 13,500 years, the Mi’kmaq have lived in Mi’kma’ki – their ancestral territory comprised of what is now known as Nova Scotia and Prince Edward Island as well as parts of New Brunswick, Quebec, Newfoundland and Maine. This new exhibit explores this long history. Fishing has always been essential to life in Mi’kma’ki. Permanent seasonal encampments were established near the ocean and along rivers, streams and interior lakes to take advantage of rich fishing grounds and spawning runs teeming with gaspereau, salmon, sturgeon and more. Of course, such a bountiful fishery was bound to attract visitors to the shores of Mi’kma’ki. 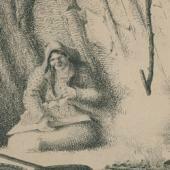 The earliest European fishers – Portuguese, Basques, French and British – were well-received by the Mi’kmaq. Later, so were the Acadians settlers. 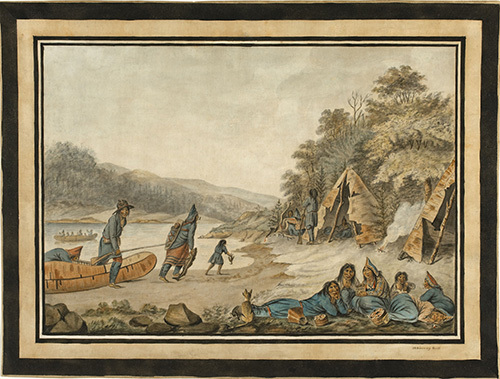 It wasn’t until British settlement in the 18th century put additional pressures on land and resources, including the fishery, that the relationship between the Mi’kmaq and Europeans began to change. Traditional Mi’kmaw fishing methods, like the various weir-fishing techniques depicted in this exhibit, demonstrate remarkable ingenuity and a profound understanding of the natural world. Both the skills and the knowledge used to employ them are gifts that have been passed down through generations. Many traditional fishing techniques are still in use today, having stood the test of time. The Mi’kmaq will continue to draw upon these gifts from their ancestors as they help shape the future of the fishery in Atlantic Canada.